St Monica’s receives one of the lowest budgets of all the schools in Enfield and so we rely heavily on the Friends to raise vital funds for our children. The Friends Committee is a group of committed parents who meet regularly to organise events across the whole school year. Each year they raise in excess of £30,000! The funds are used to purchase resources and equipment for our children. 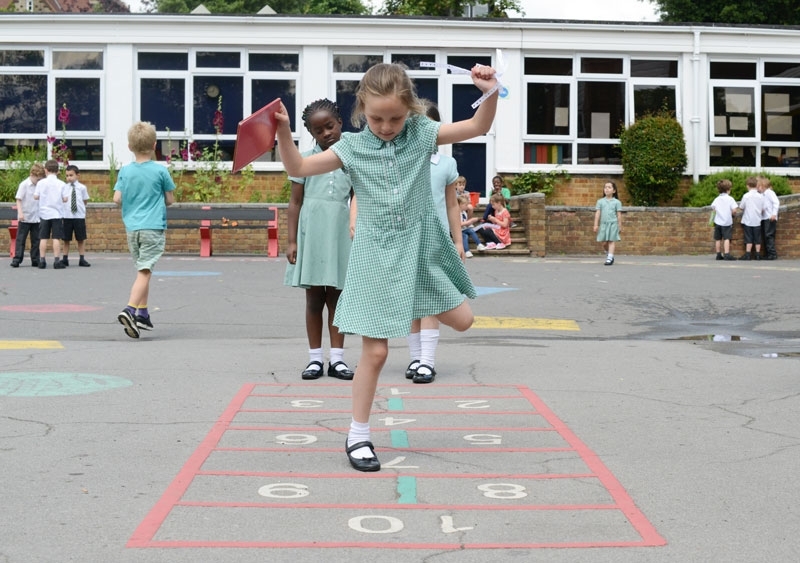 Over the last few years, The Friends have resurfaced the orchard playground with 3G Astroturf, upgraded the whole ICT suite with 31 new computers, upgraded all the laptops, purchased two sets of 16 iPads and bought new reading books for every class. In addition, every year they buy crosses for the Year 3 children to commemorate their first Holy Communion. More recently as times have become financially difficult for schools, we have had to step in to help the school balance it’s budget. This money has been used to purchase the basic resources that every child needs. Please see the weekly newsletter to find out the next meeting date. The Friends of St Monica’s is a registered charity that raises funds for St Monica’s school. The committee meets a couple of couple of times each term to discuss past events and plan forthcoming ones. We aim to host an array of events throughout the year with something to appeal to everyone: from quiz nights to the golf day and children’s discos. Our key fundraisers are the Christmas Bazaar held in December and the Summer Fete which is in the last term. Just by being a parent you are a Friend of St Monica’s but new members are always welcome on the committee. The school’s next big expense is to upgrade the ICT Suite and all the computers in the school. In recent years, the Friends have raised a huge sum of money for the major redevelopment of the junior, infant and reception playgrounds. This included the building of new infant climbing equipment, a shaded pergola and the wonderful ampitheatre. These projects all benefit the pupils greatly but at some expense. The school wouldn’t be able to make these regular improvements without all of our help, so please look at the forthcoming events and see if you can help to support our fundraising efforts over the coming year. Thank you.